Osteospermum 'Lady Leitrim' is one of the hardiest varieties which has slender buds which are tightly closed on dull days, showing the metallic, blue-mauve backs to the petals. 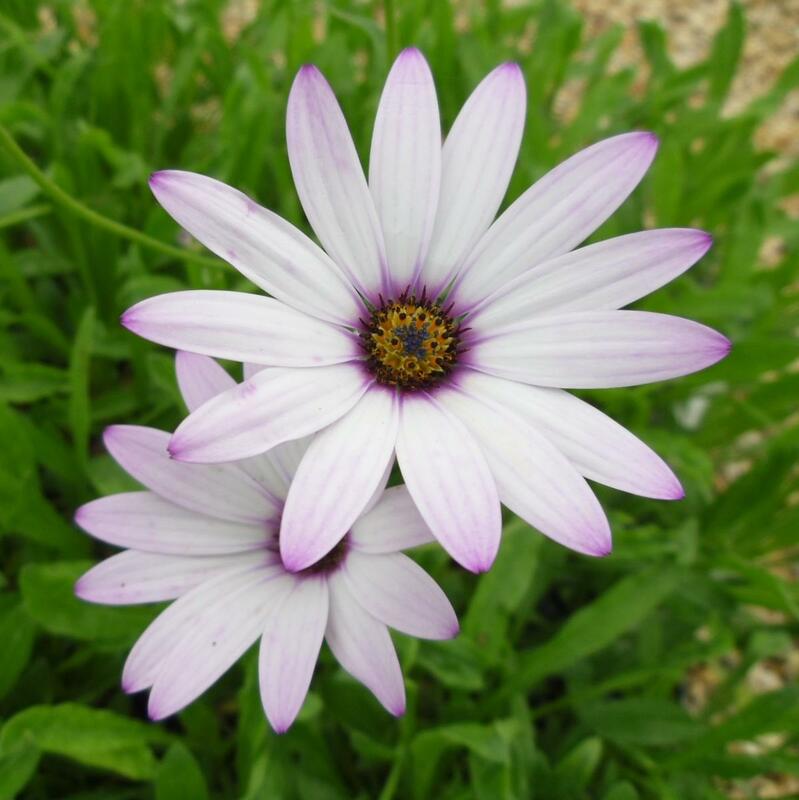 Opening in the sun, the blushed-white daisy like flowers with navy-blue centres deepen to pink with age. Prefers full sun with free-draining soil or compost. Happy in borders and containers and makes an excellent, eye catching, ground covering weed suppressant specimen for a sunny bank or border edge. Hardy cape daisies are plants with attitude, formerly known as Dimorphotheca; they survive drought and neglect and soldier on to form a pretty mat of impenetrable ground cover, which easily suppresses weeds. And after all this there's still enough energy to flower heavily from June through to October. Height from: 15cm(6"). Spread from : 90cm (36").